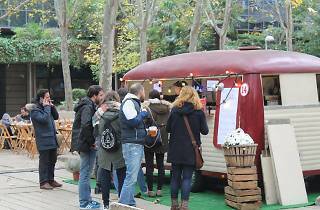 Madrid's top street food market is back, even stronger, with renewed energy and some new stuff too. From Friday to Sunday you can fill up on hot dogs, sandwiches and even dishes from Michelin-starred chefs, and wash it all down with a good craft beer. Home-made desserts will also be on hand, as well as rich coffees. 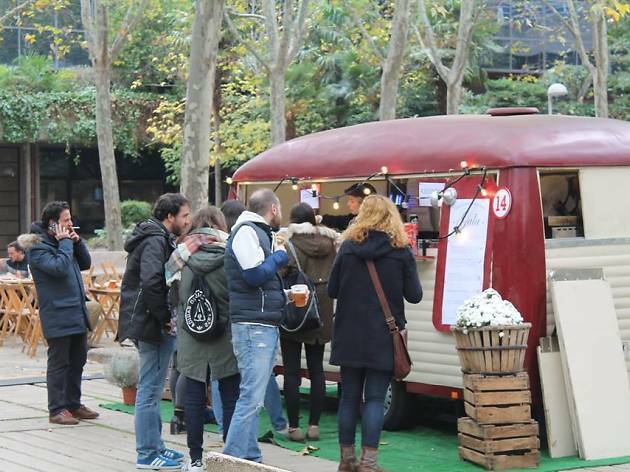 What's more, restaurants such as TriCiclo will boast some of the best gastronomic fare in Madrid in their food trucks. Chef Estanis Carenzo's Chifa will be in attendance with their chicken and 'cuitlacoche' mushroom pies; Iván Muñoz's Restaurante Chirón brings us something really different with their 'morcilla' spicy sausage yoghurt; and Kabuki brings their sushi, miso soup and dashi broth. And that's just to name a few. You'll also find gourmet sandwiches, burgers, authentic Mexican tacos and Italian piadini... all served from lovely stalls and vintage food trucks. See you there!